Login For Professional Health Care users, please login to view your discounted pricing, make an instant order and view your supply lists. Easy-to-grip hand exerciser in four color-coded resistances. 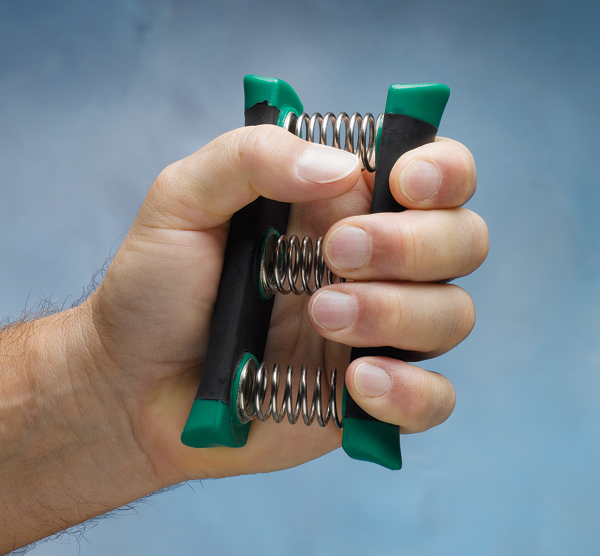 Colorful, spring-loaded hand exercisers are available in 10, 15, 30 and 60 lb. 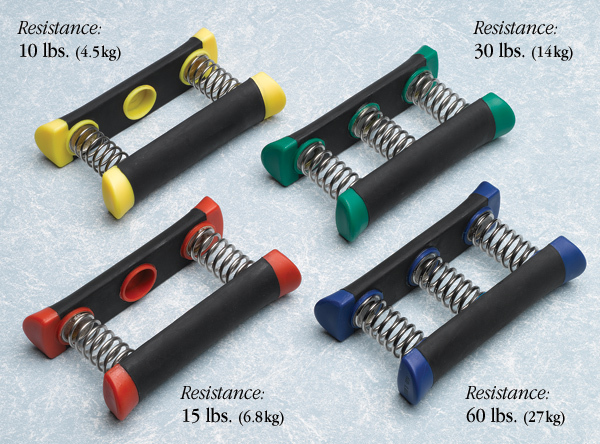 (4.5, 6.8, 14, and 27kg) resistances. 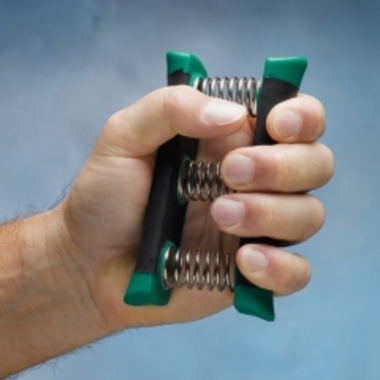 Large plastic handles are spaced 2-1/2" (6.4cm) apart and feature non-slip rubber grips for a comfortable hold. Measures 4-3/4" x 2-7/8” x 1-1/8” (12 x 7.3 x 2.9cm). Special Order: Items that either ship directly from the factory, is made to order or those that require additional shipping considerations. Special orders can be placed by calling customer service at 800.821.9319. Please login to view professional pricing or inquire whfdsfdsen placing your order. Special Orders are processed in a timely manner to assure customer satisfaction. Master Carton Quantity: 50 pcs. Master Carton Shipping Weight: 14-20 lbs. Inner Carton Quantity: 10 pcs. Inner Carton Shipping Weight: 3 lbs. * North Coast Medical, Inc. cannot guarantee that suggested codes are the most current available. This information is not intended to be, nor should it be considered billing or legal advice. It is within the sole discretion of the customer to determine the appropriate billing code, as well as whether the use of a product complies with medical necessity. In-Stock Items: Orders received before 6:30 pm EST will ship the same day. Out-of Stock Items: Shipment times will vary, depending on expected arrival to our inventory. The typical wait time is just a few days. Orders with both in-stock and out-of-stock items will be shipped partial, with any out-of-stock items being back-ordered and shipped complete when all back-ordered items are available. Note: All freight and handling charges are calculated on the original order. Back-orders ship and invoice separately and will not be charged additional freight and handling. Direct-Ship Items: Direct-Ship items are shipped directly from the manufacturer. 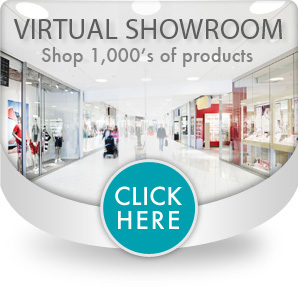 We place orders with the manufacturer within a few hours of receipt of your order. Shipping times will vary, depending on the efficiency of the individual manufacturer. Note: All orders with Direct-Ship items may have associated freight charges appear on a separate invoice from in-stock or out of stock item invoices. Special Order: Items that either ship directly from the factory, is made to order or those that require additional shipping considerations. Special orders can be placed by calling customer service at 800.821.9319. Please login to view professional pricing or inquire when placing your order. Special Orders are processed in a timely manner to assure customer satisfaction. © 2019 North Coast Medical Inc. All rights reserved. © 2019 North Coast Medical Inc.